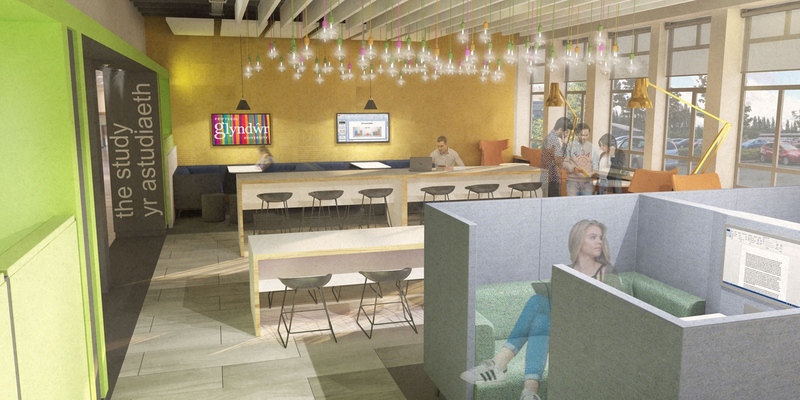 Work developing an exciting and innovative new social learning space is underway at Wrexham Glyndwr University. Over the next few weeks an area of the lower A corridor on the University’s Plas Coch campus will be transformed into a high-quality educational facility complete with seating pods, interactive demonstration areas, display screens and removable desks. Partitions will enable students to prepare for lectures and seminars, work quietly or in teams and revise in a quiet, welcoming environment in which to study. Energy efficient, modern lighting and break-out spaces will also be included, along with seating on the outside of the room in the corridor, which aims to give the area a more relaxed feel. Opinions and advice were garnered from academic and operational staff, as well as the Students’ Union, who supported the move. 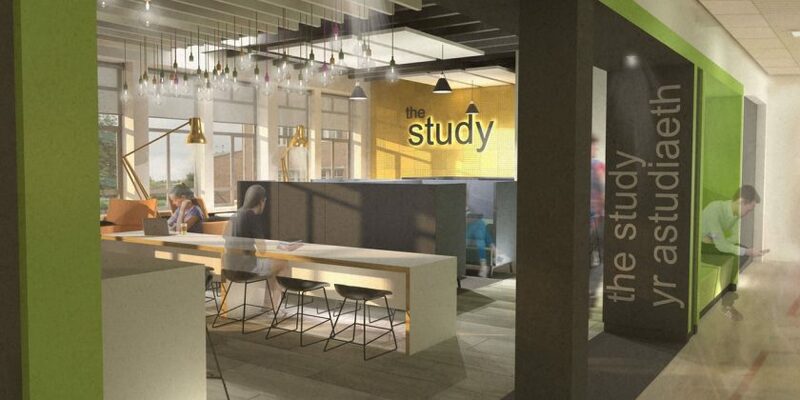 Director of Operations, Lynda Powell, said: “There will be a period of disruption but the resulting facility is one that will be of huge benefit to the University as part of the ongoing Campus 2025 improvements and in response to last year’s National Student Survey. Spatial Office Environments Ltd – owned by WGU alumnus Phil Simmonds – will undertake the work. The first phase of Campus 2025 began last year with the unveiling of a science garden at Techniquest Glyndwr and £200,000 revamp of catering facilities across the Wrexham site, with a new-look food court, coffee shops and cafes. Read 1,258,835 times in last 30 days. Read 1,258,835 times in last 30 days, and 73,813,081 times since we started in 2011.